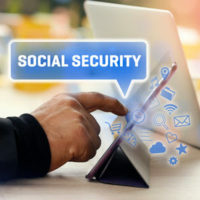 Social Security’s Supplemental Security Income (SSI) is a available the blind, disabled, and population who cannot work or are underemployed but do not have the requisite quarters of employment that predates the date of onset of disability. Many of these individuals have no income at all, and SSI provides them the means for the most basic requirements of all: food, shelter, and clothing. According to the Social Security Administration, the SSI program is funded not by Social Security taxes, but by funds generated by general tax revenues. However, just as it is difficult being accepted into the Social Security Disability program, so too is it to be approved for SSI benefits. Furthermore, a large number of factors are used as deductions from a person’s total SSI benefits (the maximum an individual can receive from the federal government is $735 per month, though they may be eligible for additional benefits paid for by the state of Florida). Those who are new to the SSI program may be unaware of and confused by many of these deductions, as they can be counterintuitive and the reasoning behind them difficult to comprehend. You spent a month in a nursing home or a hospital and more than half of the cost was picked up by Medicaid (and other instances in which Medicaid pays for hospital care as well). When an alien has a sponsor that is not eligible for SSI benefits, that sponsor’s income may deduct from the alien’s SSI benefits. There are many factors that can affect how much you receive from SSI benefits. To learn more today, contact the West Palm Beach Supplemental Security Income attorneys of the Celeste Law Firm today at 561-478-2447.